Also ticking off my want/need list is a black and white striped skirt. Something i have had in my mind for a really long time but just haven’t found the right one. Until now.. Step in Black Five. This skirt came literally a few days after ordering and is the perfect fit and structure. It is a stretchy fabric but has substance (ie isn’t see through thank god!) and for me, is just the perfect length. You know when sometimes you’re apprehensive from buying from a foreign website, unsure of sizing etc.. well so far my experience with Black Five has been the best. True sizing ( i also have a dress which is also spot on), great quality, fast delivery.I couldn’t ask for anything more. So thats two things off my need/ want list and i am super happy about that. Also it’s friday.. i’m very Happy about that too..yippee!! Have you bought anything from your ‘want/need’ list lately? Love the skirt. I don't think there's anything I *need* at the moment – I have too many clothes as it is but I'm trying to get rid of the things I don't wear anymore at least. Love that outfit today Rach. We must me thinking alike because today I am also wearing a pencil skirt, fuchsia and black+white. 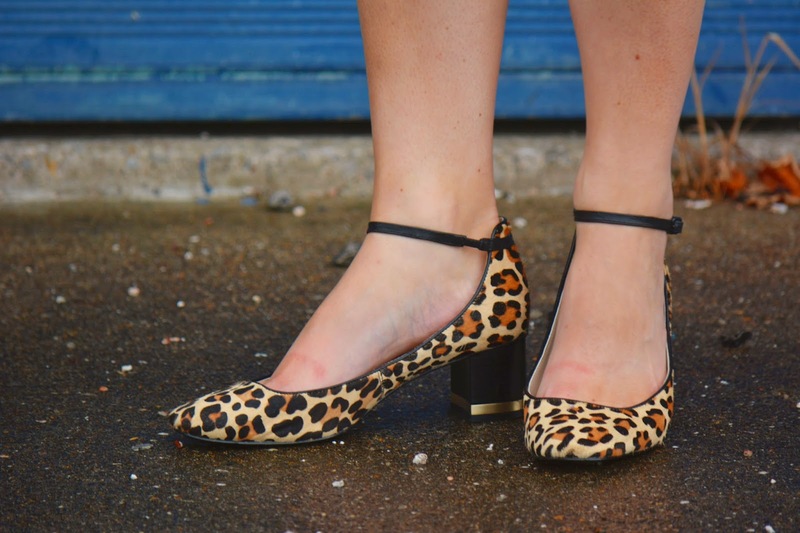 I also adore your retro leopard shoes and yesterday I wore very similar leopard pumps yesterday if you want to check them out. Enjoy the weekend Mamma! You look gorgeous! Loving the pink and those leopard shoes!! Really loving this look. That blazer is gorgeous! Thanks for hosting and have a great weekend! Pink and stripes is probably my favorite combo. I also love the touch of leopard! Thanks for hosting the link up! Love your style, Rachel! You're quickly becoming one of my fav blogs! You have such great style-all the outfits you post are so perfectly styled & so pretty!! Have a great weekend! Both of your new acquisitions are gorgeous. I love blazers too. Sometimes I look forward to an evening breeze just so I can wear a blazer with a skirt or shorts. I should probably investing in a new blazer too, and to be perfectly honest you've inspired me to go with a fresh color….maybe bright teal? This look is perfectly styled, but can I say my favorite element is your necklace. It's petals remind me of the ceramic petals on a lot of the antique Sicilian vases that can be found in Italy's vintage markets. It is like wearing a beautifully crafted sculpture around your neck. 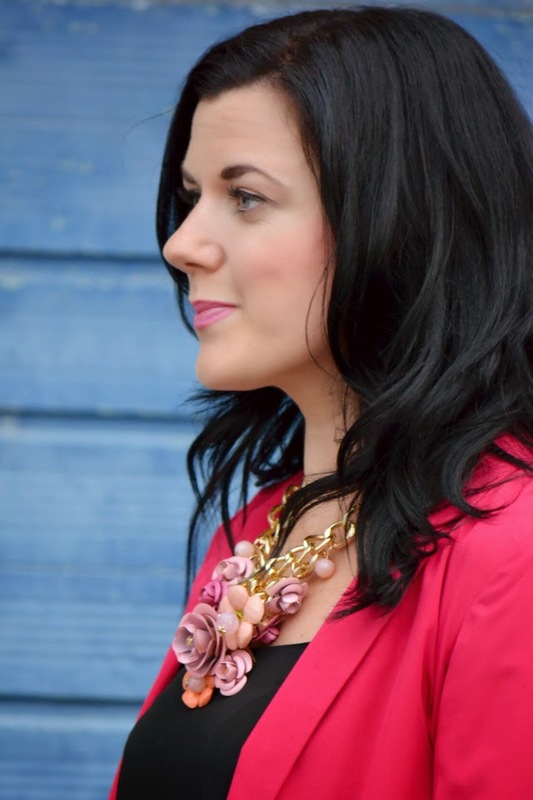 Angie from reasons to dress, fashion, real mom street style & life as a North American mom in Italy. 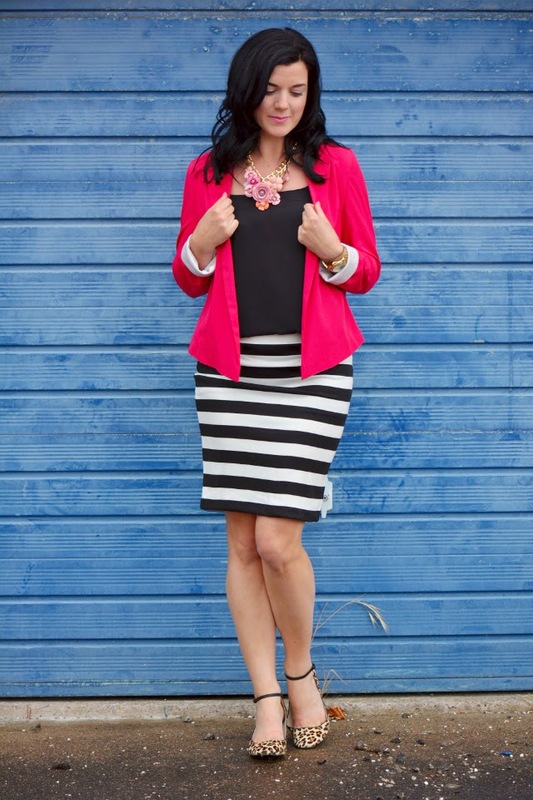 Awesome ensemble….the print mix is so fun & chic!!!! I love the black, white, and pink! I should make a list of the things I need to help prevent too many impulse purchases. That is a great idea! Ilove this look. The black and white with pink looks so good! I adore your necklace, I have a thing for roses, and the shoes are great as they are an unexpected print. I'm wearing stripes and leopard today! 🙂 Cute look. I would not have thought to wear leopard shoes with this outfit, but I love it. Can you ever go wrong with stripes?! Great look. As always, thanks for hosting! I love this! 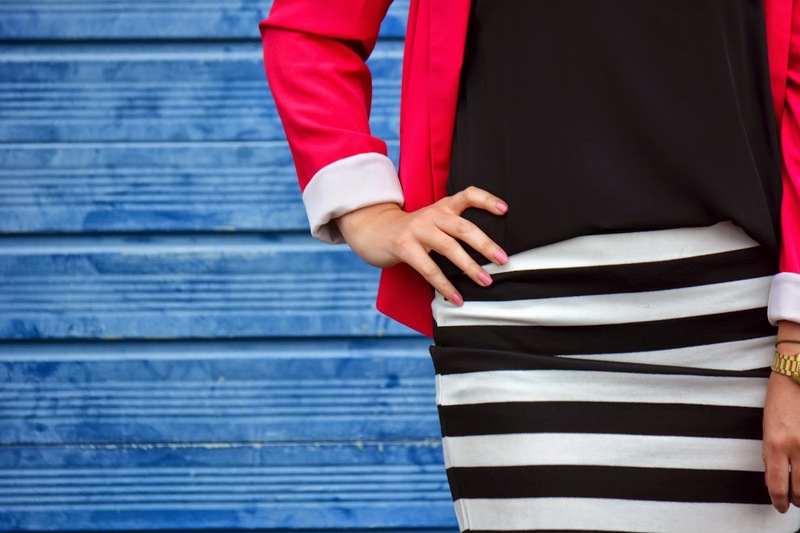 Pink and black and white stripes are always a good idea. This shade of pink is basically my favorite version of the color. It's so bright and pretty! 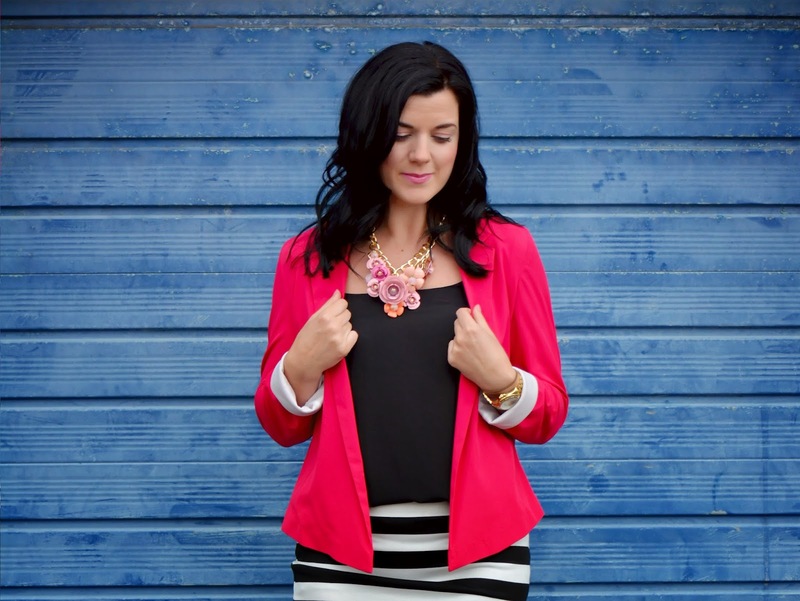 I love how this blazer looks with your striped skirt. I also enjoy the pattern mixing going on here. Very cute! Stripes and leopard are one of my favorite combos, and these leopard pumps are over the top fabulous. This whole outfit is such an amazing mix of print and color. How do you balance them so perfectly? Also I really love your necklace! 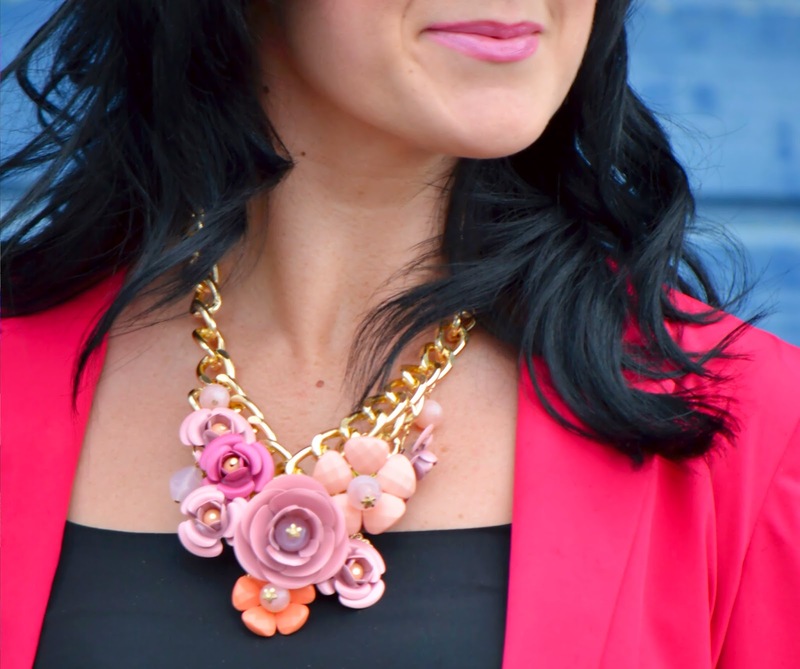 I think I have an obsession with floral jewelry.